Powell Library, noted location of several students who did not ask for the Daily Bruin's opinion. Powell Library, noted location of several students who did not ask for the Daily Bruin’s opinion. WESTWOOD— In a recently-published study conducted by the University of California’s Data Glossary Analysis Forum (DGAF), 0% of undergraduate students enrolled at the Los Angeles campus asked for their school newspaper’s opinion. The DGAF study instantly resonated with females under the age of 35 and anyone with a friend on the Daily Bruin staff. Data was collected by analyzing how quickly study participants scrolled through editorial pieces online and how intense subsequent eye rolls were. 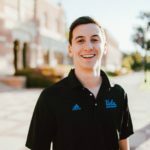 The Daily Bruin has a formal editorial team but also accepts submissions from undergraduate students and community members who do not hold staff positions. The DGAF data shows that these articles have a higher chance of being scoffed at in passing, or outright ignored. The study was published in the Mar. 7 edition of the Daily Bruin, but has not been read by anyone according to recent DGAF data.